Peter was born in Beverley, Western Australia in 1942. He had loving and stimulating country kid childhood and after attending Wesley College in Perth went on to study design and become the first Graphic Designer for the ABCs’ new television service in Perth in 1960. At 28, after extending his career in television to the UK, and back again as the Senior Designer for the ABC in Melbourne, Peter headed off to France to try and become and artist. This failed dismally and instead he became hooked on French Cuisine, which became a lifelong passion. Fortunately Peter was head hunted to become a lecturer in Design for the recently established WA Institute of Technology, now Curtin University. Here he met and fell in love with his wife Georgia, a fellow lecturer and has and continues to have a beautiful and bountiful 43 years of marriage with, now, two adult children, one married with a resulting, completely doted over grandchild. 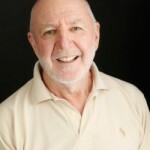 Peter retired from Curtin in 2001, after an accomplished career as a Senior Lecturer and educational administrator working in the international arena, mainly in South East Asia. In 1991 peter was part of a group that helped to set up Pondok Saraswati outside of Ubud in Bali, a retreat centre dedicated to the Arts and Creativity and as a cultural link of understanding with the people of Bali. It is here that the Men in Bali programs have their base. In the 80’s, Peter participated in many personal development modalities, which I continue to pursue to the present. During this time he also studied a wide range of facilitation, presentation and counseling techniques. From 1987 until 1992 he was chairman of The Hunger Project in Australia. Peter became interested in Menswork and met Wes Carter in the early 90’s and with Wes and others was a founding member of The Menswork Project. [MWP] Together with Wes he has participated in and organized very many events, workshops, gathering and special projects for men over the past 20 years both in Australia and internationally. Peter is also a member of the original Menswork men’s group the non project arm of MWP. Wes and Peter set up the Men in Bali programs knowing that they had access to the nurturing space of Pondok Saraswati, and 18 programs onwards, remains a major focus of his work with men. In particular Peter has developed the reflective component of The Elders Way by creating ways in which men can look at the opportunity to later life and Eldership. Peter has an abiding love for the people of Bali, their spirit and sense of community. Peter considers it is a privilege to take men into rural Bali and experience this culture, particularly when there is also the opportunity to celebrate with other men, their own personal future. In the midst of all of this Peter discovered that he was an Artist after all! These days Peter leads a major life drawing group in Perth and coach aspiring life drawers as well as taking life drawing groups to Bali. You guessed it, to Pondok Saraswati. These are very popular and make Peter very happy. Peter is enjoying a great life!